We're here with a comprehensive and side-to-side dissection of best WordPress form builder plugins available for WordPress. WordPress has taken on many hosted services like cloud website builders and form builder services. And indeed WordPress has successfully hit hard all these expensive services, offering cutting-edge plugins for these kinds of needs at a very affordable price. Let’s take Formstack and Wufoo for example; both these services offer a fully hosted form creator solution. But these services cost us an arm and a leg. They charge us on the basis of form entries limit, number of users and web-space as well etc. Their monthly plans come with horribly high fees. On the other hand advanced WordPress form builders are fairly affordable and comes without any restrictions based on number of entries and users. Some of the WordPress form builders have gone beyond the just form builders, presenting exceptional frontend form entries management (displaying, filtering and editing of submitted data on frontend pages). With WordPress, you can create unlimited forms with unlimited users and unlimited entries and bothering for just 1/15x cost of cloud form builders. On average you can be sure to save $230 per month, if you're using WordPress form builders like Formidable Pro or Gravity Forms (Wufoo and Formstack alternatives). Here we are listing top-of-the-line drag-and-drop WordPress form plugins that let us build advanced form in few minutes. I have been a Formidable Pro user for over 4 years and you can take my words for it, if I say that it's an outstanding tool when it comes to building forms and overall functionality. Creating forms with its drag-and-drop builder is as easy as a piece of cake. In addition to all essential form fields such as text line, text paragraph, email, rich text, dropdown, checkbox, radio, date, time, it also offers some unique kind of stuff such as dynamic field and section field. Dynamic field allows you to pull data from a field that exists in any other form as dropdown. The Section field helps you create group of different fields and also create repeatable fields group that makes it easy to collect data multiple times in a field, in a single entry. With this, creating field grid not a difficult job . Most importantly it's not limited to just being a drag-and-drop form builder, Formidable Forms, exceeding expectations, provides easy options to create a multi-column and multipage form structure. You need not add custom CSS for this purpose. Gravity Forms should not be an unfamiliar name for enthusiastic WordPress users.. It is the most popular WordPress form plugin that comes with a powerful drag-and-drop builder, database entries management and a variety of free and premium addons. Creating advanced forms with this plugin is fairly easy. All you need to do is add field to the builder canvas and choose easy options to configure fields and global form settings. 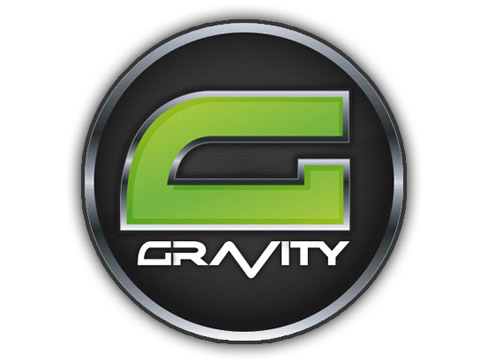 Gravity Forms addons library comprises the largest number of addons, including AWeber, GetResponse, iContact, MailChimp, ActiveCampaign, PayPal, Authorize.net, Coupons, FreshBook, DropBox, HighRise, Twilio, Registration, Zoho etc. In addition to its own massive addon library, there are several third party addons that beef it up, adding different functionalities. For instance, GravityView addon turns Gravity Forms in a powerful fronted data management tool (display, edit and filter form data on frontend). You can create directory listing websites with the help of GravityView addon. The differences between Gravity Forms and Formidable Pro have been lucidly laid out in the following post, so please go ahead and have a look. That will definitely increase your chances of choosing the most appropriate one for you and the one that clearly addresses your needs. 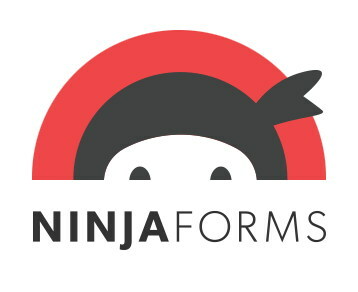 Ninja Forms is the third greatest names among form builder plugins for WordPress. It is a drag-and-drop form builder that is very much similar to the above given plugins in terms of features and functionality. Bu the major difference is that Ninja Forms is selling every pro functionality as a paid addon. That means you're free to buy a feature you actually need and can thankfully circumvent the additional cost of buying all the unnecessary features. It's not just by buying individual addons, its Business and Pro Membership plans further give you opportunities to save a lot of bucks. Business plan comes with 8 addons, while Pro Membership package comes with all available addons. Multi-part form – Multi-part form is a bit different from multi-page form. In a general multi-page form, you can’t go to the next page until you submit the previous one. But with Ninja Forms Multipart addon, you can create a form with tabs and can switch between tabs without any restriction. Frontend posting – With the help of this addon, you can add posts, pages or any other custom post type via frontend pages. File upload – This addon adds a file-upload field with which you can upload a file, not only on your hosting server but also on Amazon S3. Layout and Styles – With the help of this extension, you can not only create multi-column forms but also style your form appearance extensively. Table field – Let visitors submit data in a tabular structure. It works like a spreadsheet where there are multiple columns with headers. Smart Forms is a good form plugin with the help of which you can create professional forms and manage entries in database. Smart Forms has conditional logic feature in its free version. However, its form builder is a little bit quirky compared to plugins’ builders we reviewed above. It its pro version, much more is available to do such as Multi-page forms, auto-save, AWeber integration, math-formulae etc.. Custom Contact Forms is a free form plugin that lets you build advanced forms via a drag-and-drop form builder. Form entries are also available for managing in database. You can conditionally show or hide fields with the plugin and can also create posts with the help of created forms. You can’t create multi-column forms though. Contact Forms 7 is a widely used free plugin with which you can add email contact forms to your WordPress pages just by adding a simple shortcode. It's worth noting that Contact Form 7 can fulfill only basic form needs. Fast Secure Contac Form is a free but advanced plugin that allows you to create advanced forms and send data to multiple email addresses. The plugin comes with several customizable options. However, there is no option to save and manage entries in database. conditional logic and multi-column CSS options are also not available.